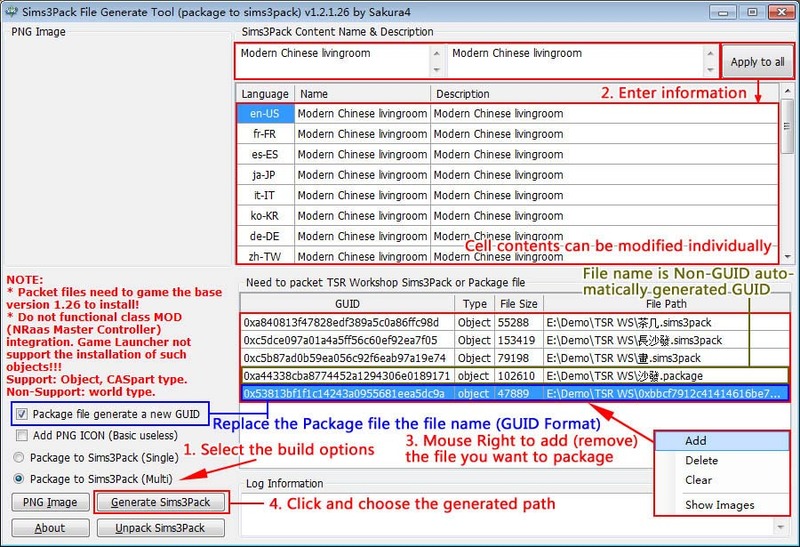 This tool can be a single (or multi) object Package(DBPF or DBPP) File packaged become to Sims3Pack file. 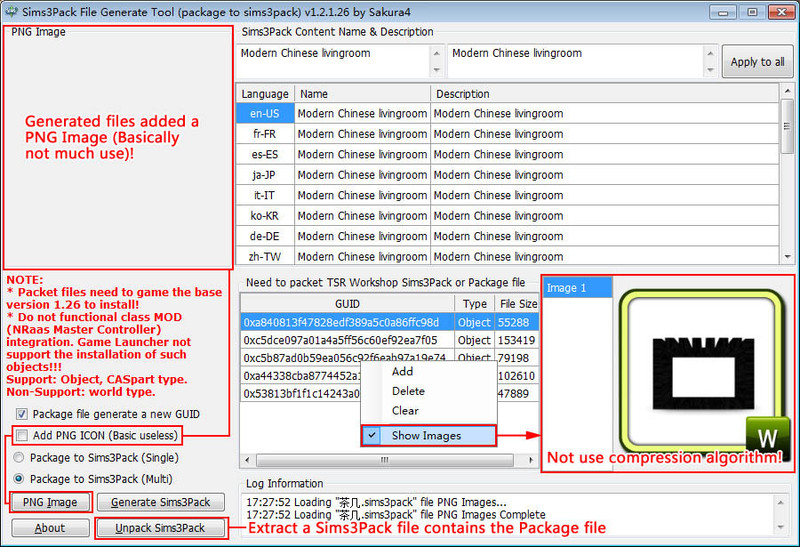 Integration of multiple single-object Sims3Pack file (e.g: TSR Workshop Sims3Pack) as a Official format multi-object Sims3Pack file object. * Packet files default need to game the base version 1.26/1.33(v1.3.1.33)/1.36(v1.4.1.36) to install! You can free definition file version (v1.3.1.33 later version). * Do not functional class MOD (NRaas Master Controller) integration. Game Launcher not support the installation of such objects!!! Multiple objects packets after the Game Launcher in the first display object. Format reference TS3Pack (*.Sims3Pack) XML. 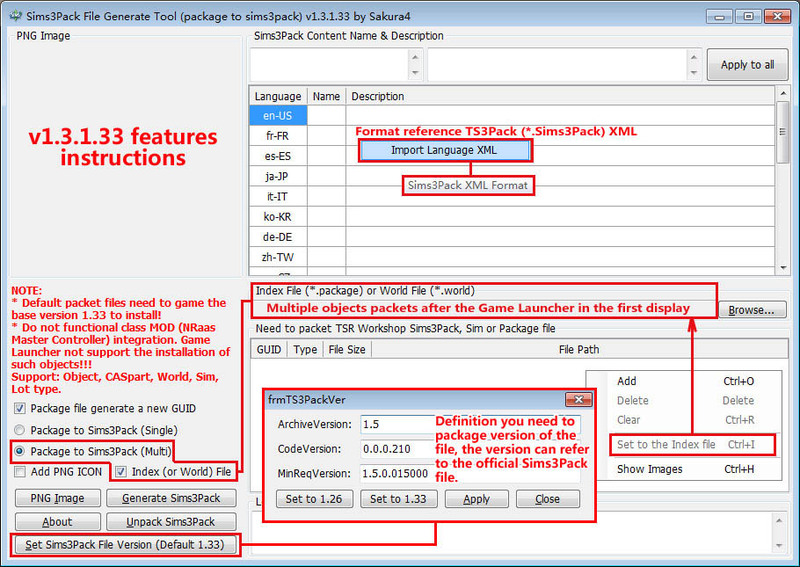 Definition you need to package version of the file, the version can refer to the official Sims3Pack file. 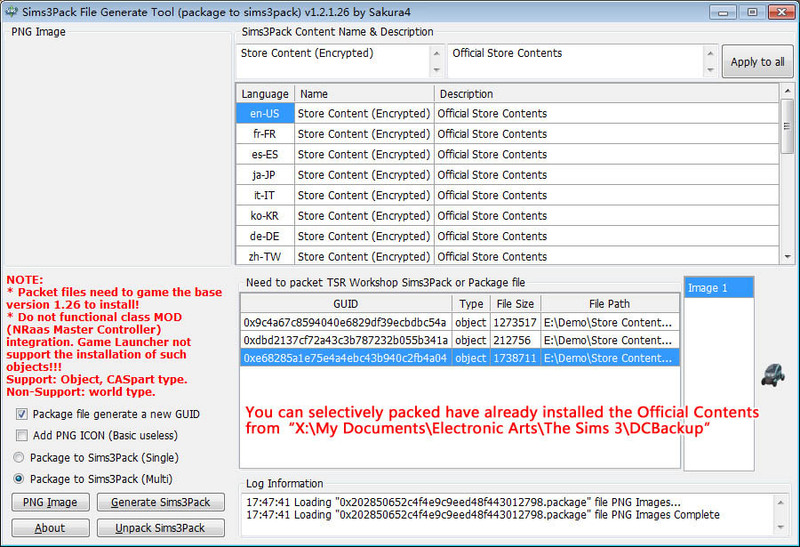 Add get from Sims3Pack file version information. Add support for the world, the sim type. Add version number of Custom. 1. 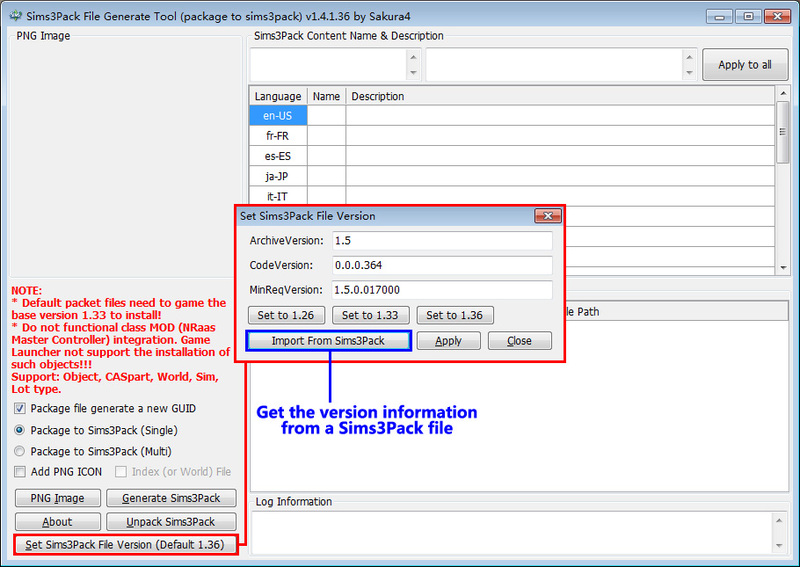 Select the packet you want to Sims3Pack (single or multiple Package [or Single Object Sims3Pack File]). 2. Fill in the content contained by the file name and description. 3. Packet to select the desired file is added to the list. 4. Click the Generate Sims3Pack button to generate.